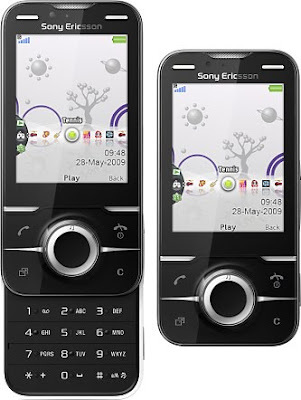 With the Yari U100i, Sony Ericsson has brought gesture gaming on the mobile platform. A tiny camera located in the top of the screen on Sony Ericsson Yari acts as an interface to enhance the gesture gaming facility on the phone. However, the overall gaming experience leaves a lot to be desired. The phone has an all-black body with the slider of the same color with a 2.4 inch screen. Yari has the standard Sony Ericsson Java UI. The keypad is not that great as it is very annoying while texting. The Sony Ericsson Yari U100i is a high end camera phone featuring a 5 megapixel camera with many features and has an accelerometer sensor. The music output of the phone is quite decent, but do not expect a Walkman series like performance. The Styles option is very impressive giving the user the option to select skins like the gramophone or LP cassette player. Conversations is another interesting feature of the U100i which allows threaded texting. Yari integrates social networking in the phone with dedicated applications for Facebook, YouTube and Blogger. For Rs 16,950 we feel it’s decently priced as there is no other phone in the market with as many wonderful features.